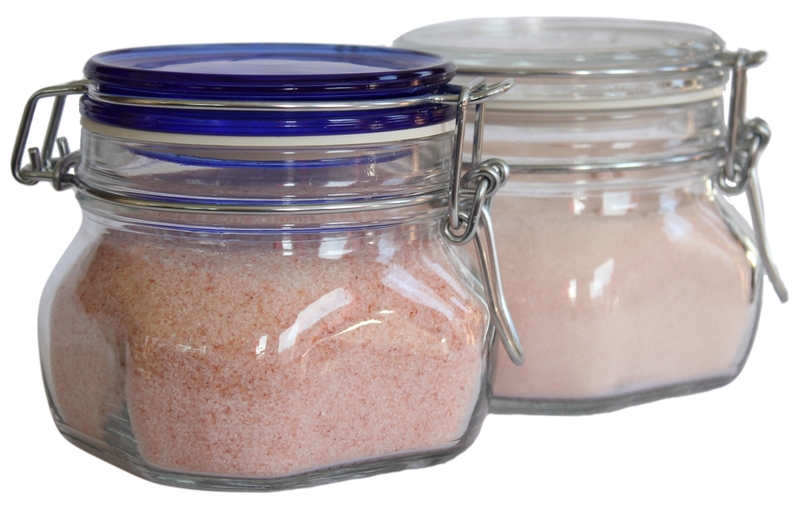 This ultra-pure Himalayan Pink Salt is perfect for mixing brine for fermenting. With the fine texture similar to popcorn salt, it dissolves quickly in water, reducing the time it takes to mix brine. Availability: This item not available outside the USA. Please shop on our International Page. Beautifully store 1 lb. of Himalayan Pink Salt in a lovely Jar with the Clear or Cobalt Blue Lid. Choose from Super Fine Grine Ultra-Pure Himalayan Pink Salt, which is perfect for mixing brine for fermenting. With the fine texture similar to popcorn salt, it dissolves quickly in water, reducing the time it takes to mix brine. Or Table Grind, which is wonderful for use in the kitchen or at the table in a salt shaker. It doesn't clump and attract moisture like gray sea salt. You'll love it! Gift Certificate Bamboo Tongs Quick Start Guide to Old World Traditional Pickling and Anaerobic Fermentation Solid Poplar Very Fine Gauge Cabbage Slicer 17"